Christopher Plumbing Services Ltd - Central Heating Engineer, Plumber based in Basingstoke, Hampshire. Invoice history based on 446 reviews. We always answer the phone* and turn up on time! * Easter weekend - we will be closed from 6pm Thursday 18th April to 8am Tuesday 23rd April but we will respond promptly to enquiries as soon as we re-open. We provide a reliable and professional plumbing and central heating service to the Basingstoke, Andover and Fleet area. We believe excellent communication with the customer is key - we keep the customer fully informed from first point of contact to final invoice. We will always be punctual and courteous, attending appointments in company uniform and arriving in a company vehicle. We are qualified to carry out the work required and we make every effort to protect a customer's property. Our working hours are 8am to 6pm, Monday to Friday (except bank holidays) - we respond promptly to any messages or emails as soon as we re-open. 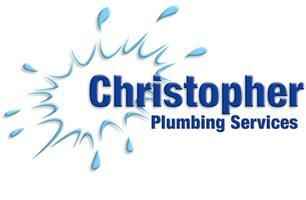 Visit Christopher Plumbing Services for more information about us including our tariffs and T&Cs.